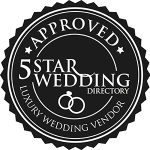 Looking for Wedding Bands in London? With over 30 years first hand industry experience, iPop are a collective of highly experienced, talented musicians who have dedicated their lives to mastering their craft. We’re no ordinary wedding band – we pride ourselves on delivering an extraordinary wedding entertainment experience, and won’t rest until the whole reception party is up on their feet! Experts in live entertainment, iPop are without doubt the best wedding band that London has to offer for amazing wedding receptions and wedding parties. Our versatile team & years of wedding experience means that we are able to create the perfect entertainment package for your wedding theme, style, and budget. With so many options for wedding band hire in London, choosing the right band for your special day can be difficult. Our amazing team have been in the music industry for many years, and we’re passionate about bringing our event knowledge and expertise to your party – ensuring your wedding is everything you imagined and more. We appreciate how important (and stressful) it can be to book the right wedding band for your special day, which is why we provide the whole evening’s entertainment to keep your guests entertained all night long. Our prices include a state of the art PA sound system, lighting effects, and all music between our sets using Dj software. We offer entertainment options for your wedding ceremony, drinks reception, and wedding breakfast. Some of our couple’s favourites are the ambient acoustic live lounge set, & the Ibiza style sax set.